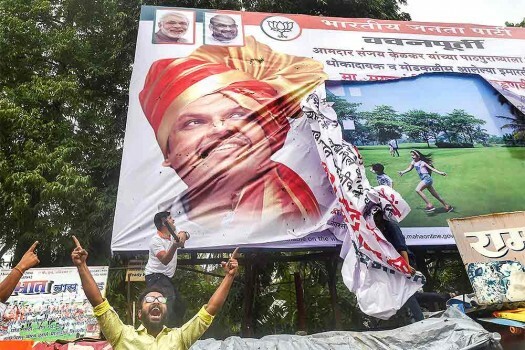 BJP activists celebrate the passage of Maratha Reservation Bill by the Maharashtra government in the Assembly, in Thane. 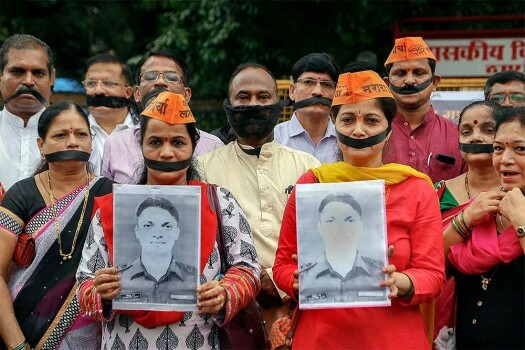 Maratha Kranti Morcha supporters pay silent tribute to Major Kaustubh Rane, the slain army officer, and the farmers who committed suicide, in Thane. 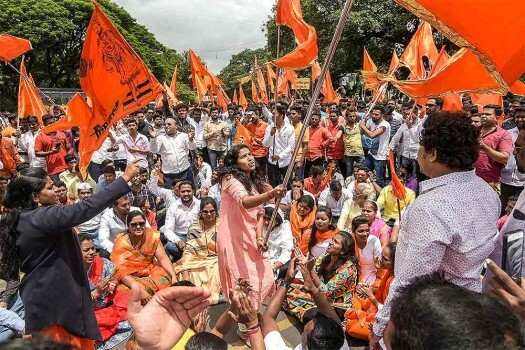 Maratha Kranti Morcha activists raise slogans during a protest over their demands for reservations at district collector's office, in Pune. 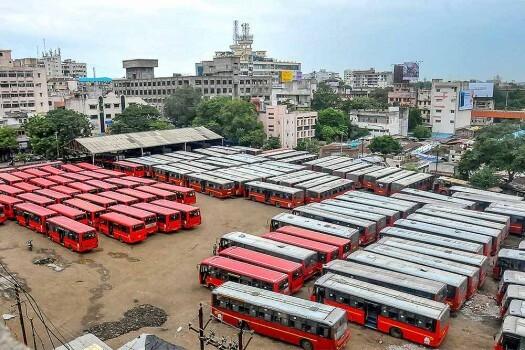 A view of a bus depot following a strike called by the Maratha Kranti Morcha activists over their demands for reservations, in Nagpur. 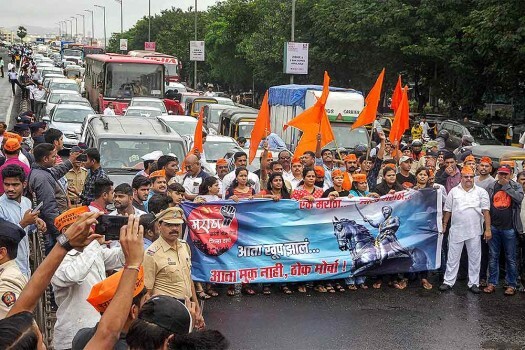 Maratha Kranti morcha activists protest in favour of Maratha reservations as they call for Maharashtra bandh, in Mumbai. 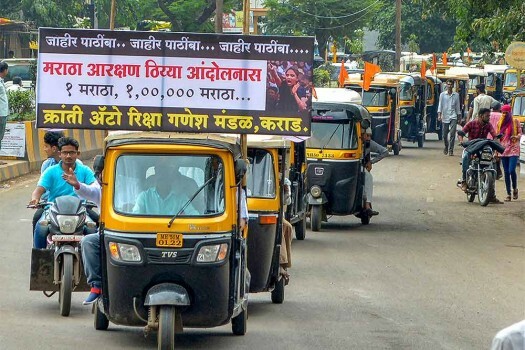 Auto-rickshaw drivers take part in Maratha Kranti Morcha rally to support the activists agitating seeking reservations in jobs and educational institutions, in Karad. 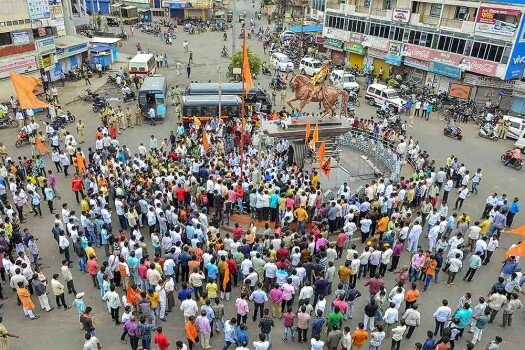 Maratha Kranti Morcha activists stage "Jal Samadhi" agitation to press for their demand for reservations in jobs and education, in Karad, Maharashtra. 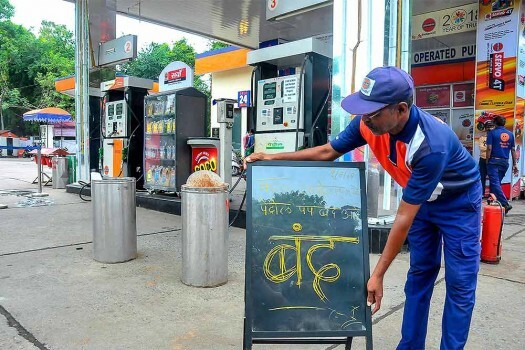 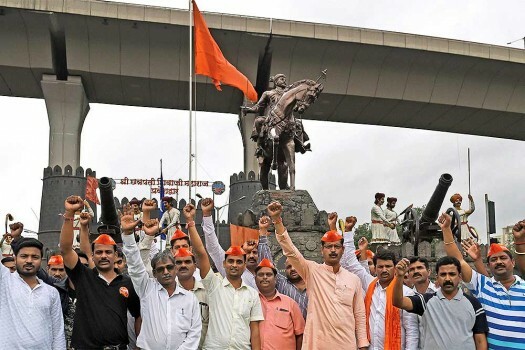 Maratha Kranti Morcha activists block the Pune-Solapur highway during a protest demanding for reservations in jobs and education, in Solapur, Maharashtra. 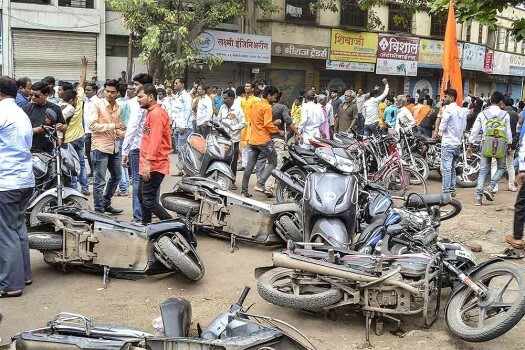 Police personnel clash with the Maratha Kranti Morcha protesters during their district bandh called for reservations in jobs and education, in Solapur, Maharashtra. 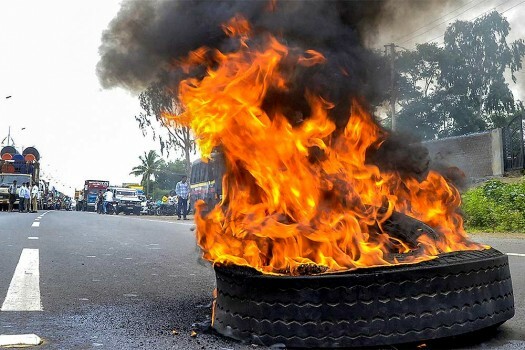 Maratha Kranti Morcha activists burn a tyre to stop traffic during their district bandh called for reservations in jobs and education, in Solapur, Maharashtra. 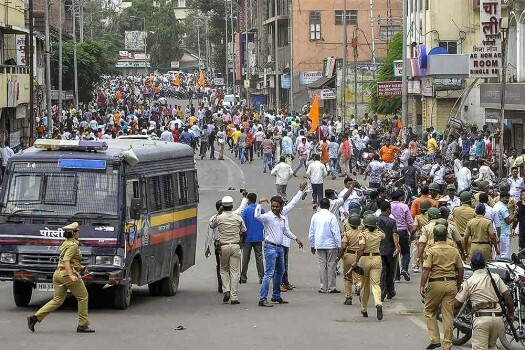 Maratha Kranti Morcha protesters block a road as police personnel keep a watch during their district bandh called for reservations in jobs and education, in Solapur, Maharashtra. 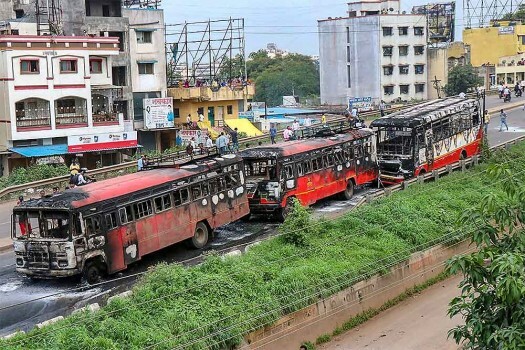 Maratha Kranti Morcha activists set ablaze buses during their district bandh called for reservations in jobs and education, near Pune, Maharashtra. 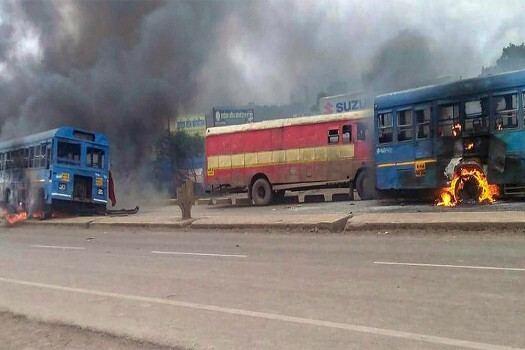 Maratha Kranti Morcha activists set ablaze buses during their district bandh called for reservations in jobs and education, in Solapur, Maharashtra. 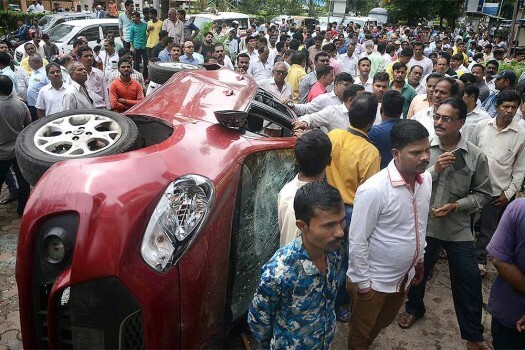 A car vandalised during Maratha Kranti Morcha protest that took place yesterday, in Navi Mumbai. 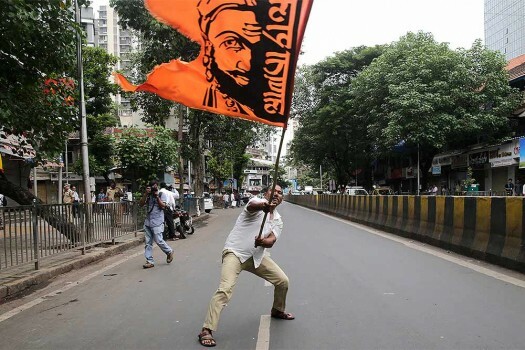 A Maratha community member waves a flag with a portrait of Shivaji, the founder of Maratha dynasty, during a protest in Mumbai. 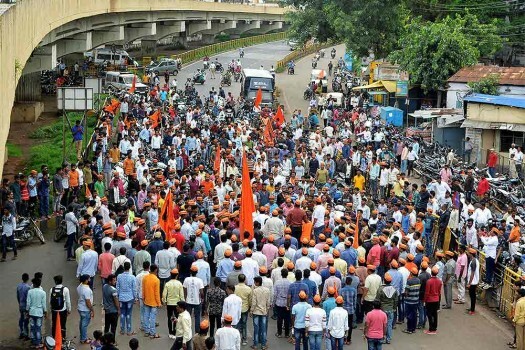 "Our demand is to convene a special assembly session on Maratha Reservation issue. 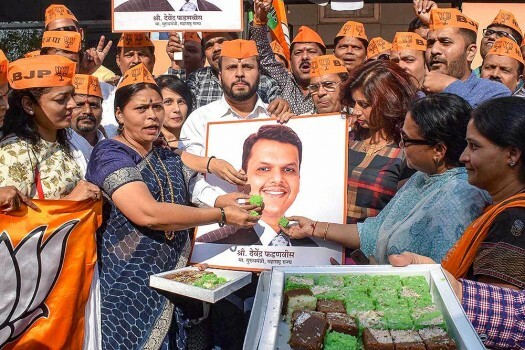 Our MLAs will meet the Chief Minister at 4.00 pm today," Thackeray said in a press conference here. 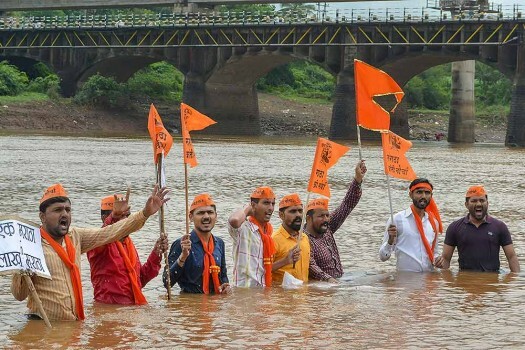 Earlier on Monday, another Maratha protestor, Kakasaheb Shinde jumped to his death in Godavari river in Aurangabad district.